Online grocery shopping is growing and poised to be how we shop for groceries in the future. But how they make it work is a useful tale that relates to all forms of ecommerce. Grocery shopping is one of the most annoying activities in the known universe. In my country a study found that people spend 27.5 minutes per day doing it, on average. That's seven full days per year just walking in a grocery store. And it's not like it's a good experience either. Long lines, crowded stores, poor selection, low quality, as well as rude and indifferent employees are common. After all, the very concept of grocery shopping is about optimizing on price. Here is a picture a friend of mine posted a while back. It doesn't look fun. However because of the internet, we now have a solution. Why not just buy groceries online and have it delivered right to your door while you are at work? How awesome would that be? No fuss, no waiting in line, no wasting almost half an hour every day doing something you hate. 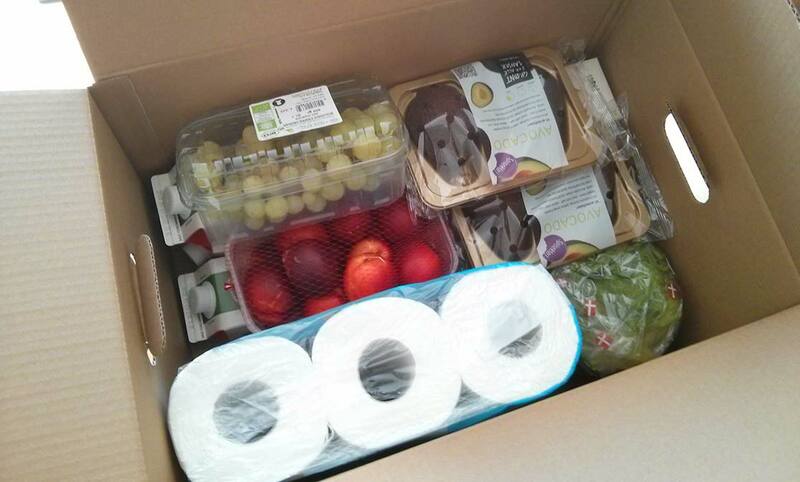 Online grocery shopping is the most brilliant thing invented short of the Star Trek replicator. I ordered this last night before I went to bed, and today four boxes like this one arrived at my door. But there is a fascinating thing about how each online provider is trying to do this. I shop with several, and each of them have their weaknesses and strengths because of how they have decided to implement their online stores. And there are two different approaches to customer satisfaction: You can either go fast or you can go slow. And one is not necessarily better than the other. In the future, of course, the winner will be the one who can achieve the highest scale. As with anything else online, when it comes to products of daily use, scale wins everytime. Just look at Google and Amazon. But today, there are number of limitations in the market that prevent this from happening. Let's dive into this and explore these differences and what impact they have on how well they can sell their products. The first big limitation of online grocery shopping, and the main reason why we are not all doing it yet, is shipping. Unlike other products that we buy online, groceries are volatile goods that people need at a specific time. Most of it is food, of which some has to be refrigerated and some frozen.